TOBI – 🐰 50% Off A New Day Dress! This incredible Easter offer is one to not miss, and thankfully will be available for the next few days. 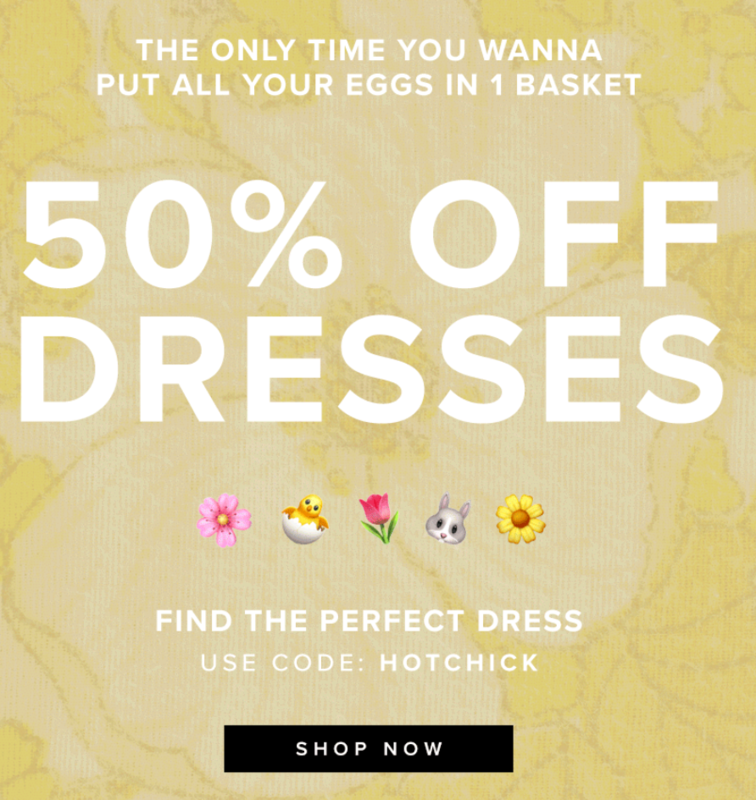 It’s the only time you wanna put all your eggs in 1 basket – with 50% off dresses! Find the perfect dress today at TOBI and use the code HOTCHICK for 50% off. Next story L.K.Bennnett London – Passport ready?